The question cannot be answered by examining the evidence. In philosophy terms, it is “empirically unanswerable.” That is the sort of stuff that philosophers debate. Religious people might point to scripture to support one conclusion over the other. In physics, however, quantum randomness offers a definitive answer to the question of predestination vs. free will—for subatomic particles. Robert J.Marks, “Quantum Randomness Gives Nature Free Will” at Mind Matters More. Dr. Marks goes on to explain why quantum mechanics can provide effective cryptography. Baylor professor of electrical and computer engineering. And before EE departments added the embellishment “computer engineering” to jerk back some prestige from computer science departments in the late ’80’s, professor of electrical engineering. 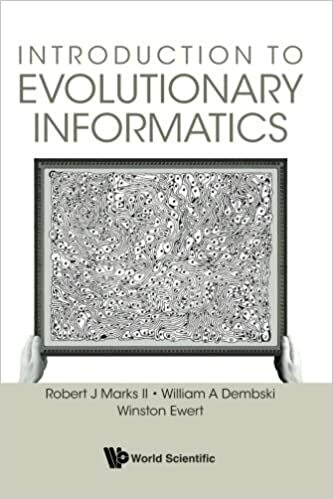 Since Dr. Marks is heavily involved in information theory and statistics in his work, the key area from the above which fits his interests is the Signals and Systems area which is the prerequisite of statistical communications from which information theory was birthed in the late 1930’s. Computer engineering is obviously related but the mathematics for signals and systems is not in the core computer engineering curriculum. Students specializing in computer engineering are not required to study signals and systems at many schools, e.g. the two I attended. It is possible for a computer engineer to work an entire career without employing higher mathematics necessary in other engineering disciplines like statistical communications. QM exhibiting “true” randomness may however only be the way how we interpret it. Admitting for a second that the Universe has indeed been designed, the Designer may possibly have control over every individual photon there is. Then He can guide those photons to behave in pseudo-random ways, which would be looking perfectly random to us. ..Imagine He could control individual gamma quanta, which are hitting our DNA all the time. This would make for a perfect “random” mutation “editing” of the DNA, and no living creature would ever notice the occasional “non-randomness” of this process. “Free will” is a primary, even defining, property of an immaterial mind. Thus for Dr. Marks to say that “Nature has free will” is to falsely attribute a primary property of an immaterial mind to “Nature”.,,, In fact, for someone to say “Nature has free will” is to, in effect, say that “Nature is a person”. I’m sure that is hardly a position that Dr. Marks, a Christian, is really trying to convey. It would be much better for him say that quantum mechanics validates the reality of the free will of the immaterial mind and falsifies the ‘classical’ Newtonian view that nature is deterministic, than for him to say “Nature has free will”. For him to say “Nature has free will” is to create needless confusion between the agent causality that belongs only to a immaterial mind and ‘mindless’ nature. In fact, “Naturalism”, specifically “methodological naturalism”, denies the reality of agent causality altogether. Excerpt: “Epistemology — how we know — and ontology — what exists — are both affected by methodological naturalism (MN). If we say, “We cannot know that a mind caused x,” laying down an epistemological boundary defined by MN, then our ontology comprising real causes for x won’t include minds. MN entails an ontology in which minds are the consequence of physics, and thus, can only be placeholders for a more detailed causal account in which physics is the only (ultimate) actor. You didn’t write your email to me. Physics did, and informed (the illusion of) you of that event after the fact. “That’s crazy,” you reply, “I certainly did write my email.” Okay, then — to what does the pronoun “I” in that sentence refer? The second major mistake that Dr. Marks makes, besides attributing agent causality to nature, is for him to say that quantum wave collapse has no underlying cause. Moreover, when we reason back to the necessary “sufficient cause” for the “effect” of quantum wave collapse we find out many interesting things. Thus, in order to stay ‘scientific’, (i.e. every effect must have a sufficient cause,) and in order to adequately explain the effect of quantum wave collapse, we must appeal to a ‘sufficient cause’ that is in itself infinite dimensional, i.e. is omnipresent, in its foundational nature, as well as appealing to a ‘sufficient cause’ that possesses infinite information, i.e. is omniscient, in its foundational nature. Jeremiah 23:24: “Can a man hide himself in hiding places so I do not see him?” declares the Lord. “Do I not fill the heavens and the earth?” declares the Lord. I think what Dr. Marks meant is “contingence”. Contingency is a necessary, but not sufficient, condition for free will. The fact that nature exhibits contingency means free will is possible. If nature were completely deterministic as described by Newton, then free will would not be impossible, but would seem more implausible to people. Yet, what has been demonstrated in microtubules is not quantum wave collapse but is quantum entanglement and/or quantum coherence. Back in the brain, microtubules are components of the cytoskeleton inside neurons, cylindrical lattice polymers of the protein ‘tubulin’.,,, now it appears quantum mechanisms eerily similar to those in photosynthesis may operate in tubulins within microtubules. Quantum entanglement and/or Quantum Coherence specifically require that a quantum system remain in a ‘uncollapsed’ superposition state. Excerpt: It’s well-known that quantum coherence and quantum entanglement are both rooted in the superposition principle—the phenomenon in which a single quantum state simultaneously consists of multiple states—but in different ways. In fact, it is now thought anesthetics act to erase consciousness by ‘disrupting’ the ‘quantum vibrations’ of microtubules. Or, (if I may stretch the evidence a bit), by ‘disrupting’ the quantum coherence of microtubules. Thus for consciousness itself to exist in the brain then, contrary to what Dr. Marks, (via Penrose), believes, consciousness itself requires that the quantum coherence of the microtubules themselves to remain in an ‘uncollapsed’ state. Excerpt: Tononi and his team observed the disconnect when brief, magnetically generated pulses of electricity were directed to specific regions of the brain. The pulses stimulated an electrochemical response from the targeted cells, which, when the subject was awake, rippled across the brain, traveling along networks of nerve fibers to different cerebral destinations. But when the subject was in deep sleep, the same response was quickly extinguished and did not travel beyond the stimulated cells. ,,, It’s a big jump to assume that photons do this job. The implications of finding ‘non-local’, beyond space and time, and ‘conserved’, quantum information in molecular biology on such a massive scale, in every DNA and protein molecule, are fairly, and pleasantly, obvious. Those pleasant implications, of course, being the fact that we now have strong physical evidence suggesting that we do indeed have an eternal soul that is capable of living beyond the death of our material bodies. In the following video, entitled Quantum Entangled Consciousness, Stuart Hameroff states that ‘the quantum information,,, isn’t destroyed. It can’t be destroyed., it’s possible that this quantum information can exist outside the body. Perhaps indefinitely as a soul’. Is anything worth more than your soul? Does this mean Natural Selection is real? It is interesting to note that Weinberg, an atheist, rejected the instrumentalist approach precisely because of free will, i.e precisely because pf the fact that “humans are brought into the laws of nature at the most fundamental level” instead of humans being the result of physical laws as Darwin envisioned. Yet, unfortunately for Weinberg’s philosophical druthers, science could care less how atheists, or anybody else, would prefer the universe to behave. The reality of free will within quantum mechanics has now, as of 2018, been born out experimentally. ,,, that “creepy” and “far-fetched” possibility, (which is exactly the “creepy” and “far-fetched” possibility that atheists hold to be true), has now been, for all practical purposes, closed. Moreover, here is another recent interesting experiment by Anton Zeilinger, (and about 70 other researchers), that insured the complete independence of measurement settings in a Bell test from the free will choices of 100,000 human participants instead of having a physical randomizer determine measurement settings. As Douglas Robertson states, “Creating new axioms and free will are shown to be different aspects of the same phenomenon: the creation of new information. Excerpt: Chaitin’s Algorithmic Information Theory shows that information is conserved under formal mathematical operations and, equivalently, under computer operations. This conservation law puts a new perspective on many familiar problems related to artificial intelligence. For example, the famous “Turing test” for artificial intelligence could be defeated by simply asking for a new axiom in mathematics. Human mathematicians are able to create axioms, but a computer program cannot do this without violating information conservation. Creating new axioms and free will are shown to be different aspects of the same phenomenon: the creation of new information. As a Christian, I would be very remiss in my duties if I failed to hash out the fairly profound implications of all this. Having the reality of free will empirically validated by quantum mechanics to such a deep level has some fairly profound implications. First, by allowing agent causality back into the picture of modern physics, as quantum physics itself now demands, and as the Christian founders of modern physics originally envisioned, (Sir Isaac Newton, James Clerk Maxwell, Michael Faraday, and Max Planck, to name a few), then a empirically backed reconciliation, (via the Shroud of Turin), between Quantum Mechanics and General Relativity, i.e. the ‘Theory of Everything’, readily pops out for us in Christ’s resurrection from the dead. Besides the reality of ‘free will’ and/or Agent causality within quantum theory bringing that rather startling solution to the much sought after ‘theory of everything’, there is also another fairly drastic implication for individual people being “brought into the laws of nature at the most fundamental level” as well. Because of such dire consequences for our eternal souls, I can only plead once again for atheists to reconsider their choice to reject God, and to now choose life, even eternal life with God, instead of death. @BA77 fascinating article about the Turin shroud, that the charring was instantaneously produced by an energy source beyond any feasible technology we possess. It isn’t clear to me how quantum information can be a soul. Presumably quantum information is all over the place, so wouldn’t quantum information = soul imply pantheism? It also isn’t clear how quantum information creates new information, as you point out is required by free will. It isn’t clear to me how quantum information can be a soul. Presumably quantum information is all over the place, so wouldn’t quantum information = soul imply pantheism? Excerpt: Many quantum technologies rely on quantum states that violate local realism, which means that they either violate locality (such as when entangled particles influence each other from far away) or realism (the assumption that quantum states have well-defined properties, independent of measurement), or possibly both. Violation of local realism is one of the many counterintuitive, yet experimentally supported, characteristics of the quantum world. Simply put, atheists and pantheists, (such as Hameroff), have no beyond space-time, matter energy, cause, i.e. nothing beyond the universe, to appeal to in order to explain quantum entailment/information. Whereas I, as a Christian, do. It also isn’t clear how quantum information creates new information, as you point out is required by free will. I never claimed that quantum information creates new information. I don’t know where you got that idea from.